Mesquite, honey locust, ironwood, algaroba, honeypod, ablarroba, honey mesquite, Texas ironwood. Trees average between 20 and 40 feet in height. Weight is 50 pounds per cubic foot. Specific gravity is 0.80. Mesquite is a hard, heavy and tough wood with high bending and crushing strengths. It has medium stiffness and medium resistance to shock loads. Its steam bending classification is moderate. It dries well, except for a tendency to develop small checks when air dried. It works well with machine and hand tools but has a blunting effect on cutting surfaces. Nailing requires pre-boring. We reported in 1995 that the tide was turning with regard to mesquite. Once the Rodney Dangerfield of woods, mesquite was considered a nuisance wood, with millions of dollars spent each year to eradicate it. David Perino, who along with Kathryn Ehrhorn owns the San Pedro Mesquite Co. in Benson, AZ, continues to be the self-described Johnny Appleseed of the mesquite world. 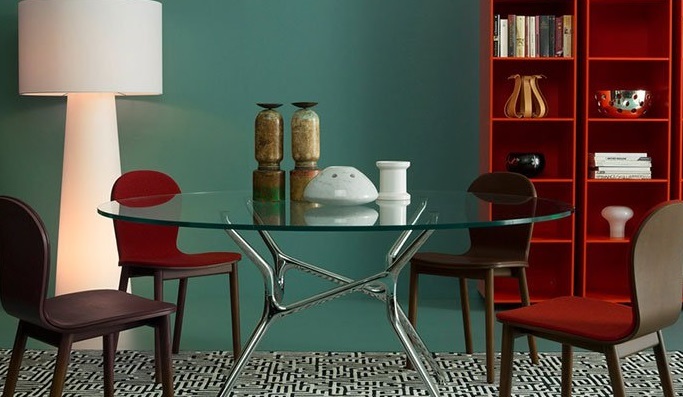 The co-owners have developed a line of Danish-style furniture using the reddish brown, rustic looking wood and Crate and Barrel Furniture Stores continue to sell a line of mesquite tables Perino helped develop. Perino and Ehrhorn also sell mesquite flooring, which they consider the biggest potential market for mesquite. "Mesquite is hard, durable and very stable and capable of withstanding the kind of abuse floors take," said Perino. Perino and Ehrhorn say the main issue is getting people to see the value of mesquite rather than viewing it as a noxious weed. "We would like to see people consider mesquite's pluses rather than trying to get rid of it. It comes down to land for trees or cattle or crops." Eradication is no easy matter, explained Perino. One method, chaining, involves the use of two large bulldozers, equipped with an anchor chain connecting them. The bulldozers drive parallel to each other with the chain dragging between them, bending and breaking the trees in one direction. The dozers then retrace their path in the other direction, completing the devastation. Other methods of eradication include aerial spraying, burning and biological defoliation methods. Perino explained that some of the past eradication methods worked in reverse. At one time mesquite trees were cut back, but this cutting encouraged growth tenfold. Burning can also spark growth if done incorrectly and the new growth can be a more tenacious variety than the original. Mesquite is a hardwood that grows naturally in North and South America and was introduced in Australia and South Africa in the 1940s. Its range in the United States is from the low deserts of California, southern Nevada and southwestern Utah, to Texas, Oklahoma, Kansas and Louisiana. It was also introduced to the Hawaiian Islands. Mesquite also grows naturally in Mexico and Jamaica and extends south from Central America to Venezuela. It is exported from Chile, Peru, Argentina, Uruguay and Paraguay. "The wood grows well on both sides of the equator," explained Perino. "It was introduced in South Africa and Australia in the 1940s as a source of fodder for cattle. No one realized how quickly it would propagate and how hard it would be to manage. There are people in those areas of the world who grow rabid on the topic of mesquite," laughed Perino. Mesquite grows well in dry climates. It needs little water and its long roots will burrow deeply in the ground to obtain the moisture it needs. Mesquite varies from low and thorny shrubs to taller trees. The trees that get enough moisture are capable of growing to heights of 50 to 60 feet with trunks as wide as 3 feet. In the United States, 90 percent of mesquite comes from Texas, according to Perino. 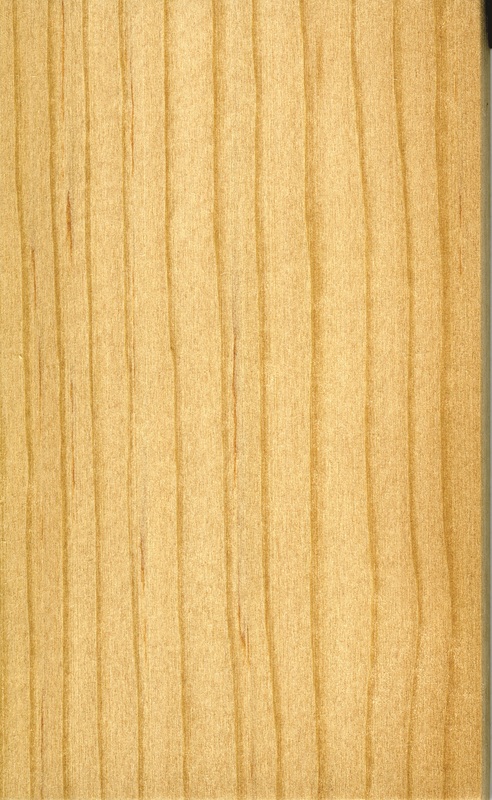 Currently, three mills in Texas are producing mesquite flooring. Just recently, Perino imported a container of mesquite flooring from South America. According to Perino, the South Americans have a slight advantage in producing mesquite secondary products because mesquite grows in areas with other timber, so the mills are in place. "In the United States mesquite grows in areas where it is often the only tree," said Perino. "Mesquite trees in the United States routinely yield 40 percent usable product. But when milled in South America, the yield is more often 50 to 55 percent because mesquite is used for the nearby charcoal kilns. There mesquite is also used for barbecue and scientific grades as well as furniture and flooring. Mesquite can also be used to make food. Mesquite flour, a non-glutenous flour, is another by-product of the trees." Other uses for mesquite include fence posts and construction lumber such as heavy structural timber. It is also used for joinery, railway sleepers, poles, piles, and turnery. Mesquite seeds, also known as beans, have long been used as food for cattle and horses and were once consumed by Native Americans of the Southwest. The Indians of Mexico and Peru still eat mesquite beans as did their ancestors. Mesquite is also a source of two kinds of gum which are used to make candy and Mexican dyes.